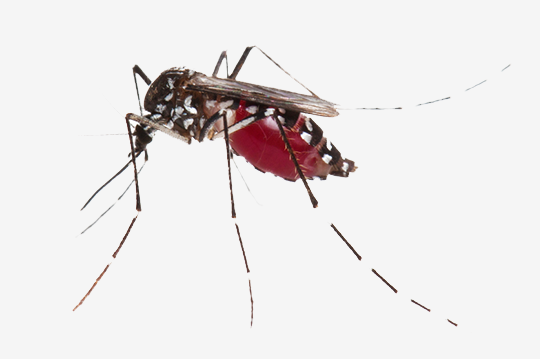 Mosquito Control Dunwoody, GA | Bug-Off Exterminators, Inc.
Exterminating mosquitoes can be labor intensive and demands that you consider each cycle in the insect's life cycle: Egg, larva, pupa and adult. 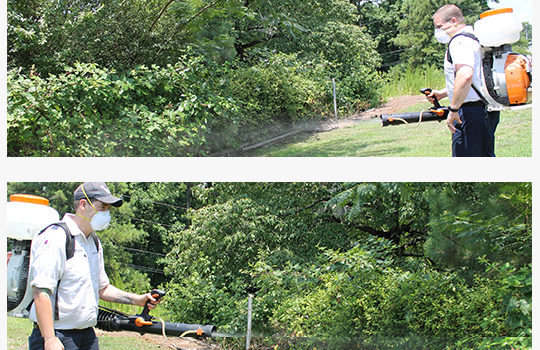 A residual misting spray applied to the trees, tall plants, bushes, and wooded areas on your property is at the base of mosquito control and can last for weeks. Mosquito traps are designed to exterminate larvae during the metamorphosis, successfully wiping them out before they become adults. Our team of mosquito control professionals is qualified to treat for mosquitoes on your property routinely. Drawing from their many years of experience in treating homes around the Dunwoody, Georgia area. They can set up a mosquito control plan for recurring extermination services to keep mosquitoes gone. Summer is the time to enjoy many different recreational activities in the open air and sunshine, including baseball, climbing, football, and having cookouts. Outside dining gives you and your guests/family members a chance to enjoy each other's company during those warm summer nights, but it can also give mosquitoes the opportunity to feast. Mosquitoes become active during the warm air of summer, especially in areas that have pools of standing water. Mosquito populations are likely to grow if they're not properly controlled and can ruin the time you spend in your backyard. If you're ready to get rid of mosquitoes on your property and keep them from coming back, it might be time to speak to a seasoned mosquito control business. By applying a misting spray and installing mosquito traps we can effectively keep your property protected from mosquitoes. Your initial service will involve a technician going over your property to pinpoint any mosquito breeding areas. Recurring mosquito treatments help to decrease mosquito swarms. An optimal strategy also involves disposing of open water collectors, like storage boxes and other containers, where mosquitoes frequently deposit their eggs. Artificial ponds and places that don't drain moisture well should be thoroughly cleansed. A mosquito plan includes the misting spray that will exterminate adult mosquitoes, and the installation of traps that work as breeding spots. The traps prevent the eggs and larvae from going into adults by using an IGR (insect growth regualtor) that prevents their metamorphosis. The visit involves the application of a residual misting spray to places frequently infested with mosquitoes and the installation of mosquito traps. Our technician will complete the service by navigating your yard to reach bushes and trees. Ideally, your yard will be treated from month to month to offset the fact that weather eventually makes the residual pesticide to breakdown. The traps provide recurring extermination during rainy weather and between services. Take back your summer from these nasty flying bugs and call us when you start to suspect your property is infested with mosquitoes. Our mosquito control professionals are well-prepared to make your mosquito problem a thing of the past, so you can enjoy the summer.